For this tutorial I used Kelen the adventurer, a Rackham-mini. 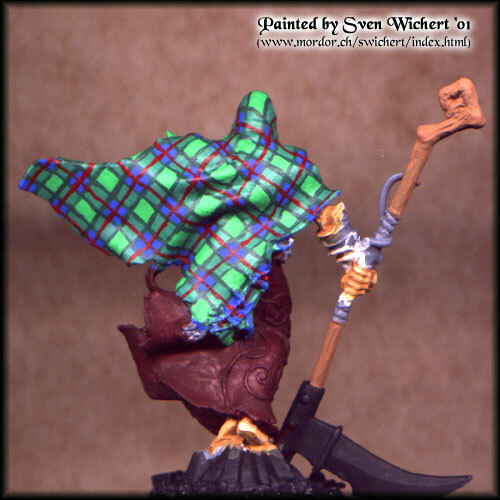 He is a hero of the celtic army in their Confrontation tabletop game. As he would be a centerpiece of my army I decided to make him stand out on the battlefield by painting his cloak like a scottish tartan. I used Reaper Pro Paints exclusively on this miniature. 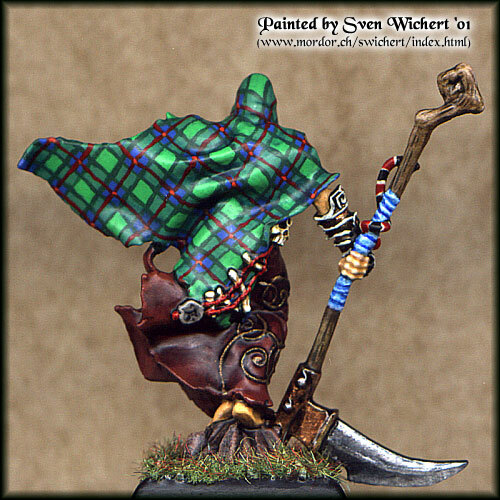 I would like to thank the guys at the 'Mini-Painter'-mailing list for their great help to find out how to paint tartans, especially Bob Lippman, who painted that fantastic VIC 5 orc. with one part of the Dragon Blue (#8014). 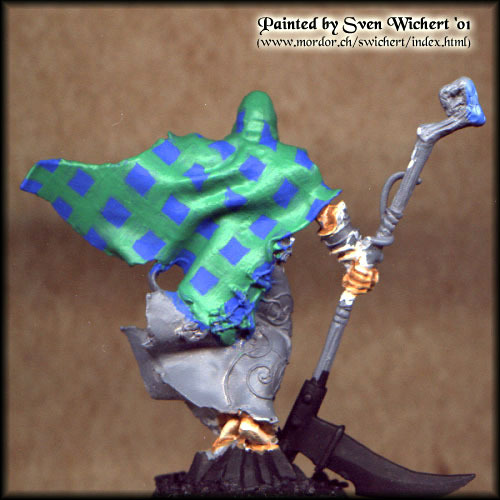 The blue/green mix simulates the real pattern with green and blue threads mixed in the cloth. thin it down but make sure that there is enough binder in the paint. The squares where the blue/green stripes cross was painted with pure Emerald (#8010). These lines covered all the little mistakes I had done during the prior steps. something to liven it up. On idea was to add some red lines (thanks Ramon! ;-) ). The lines were done with Blood Red (#8001). 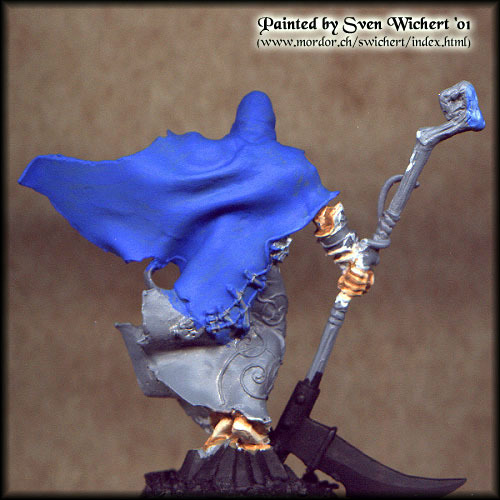 chance that I ruin the entire cloak by attempting to highlight it.